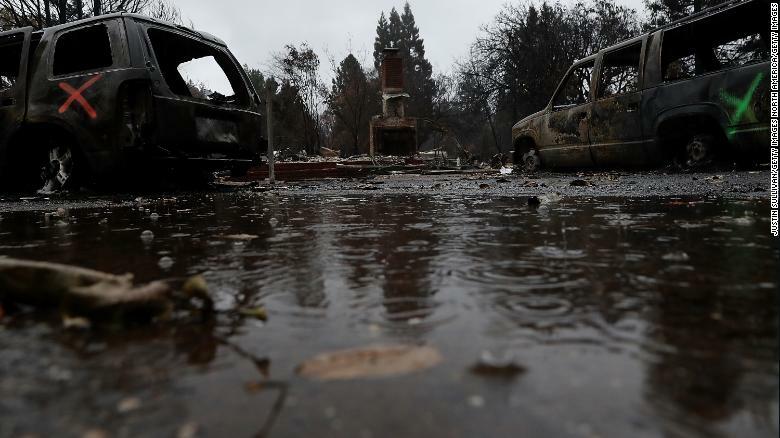 Rain falls earlier this week on a home destroyed by the Camp Fire in Paradise, California. 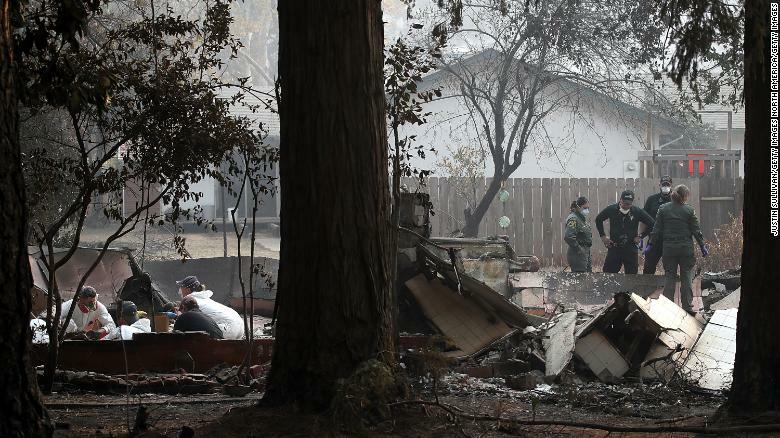 Sheriff deputies and rescue workers recover human remains from a home destroyed by the Camp Fire. 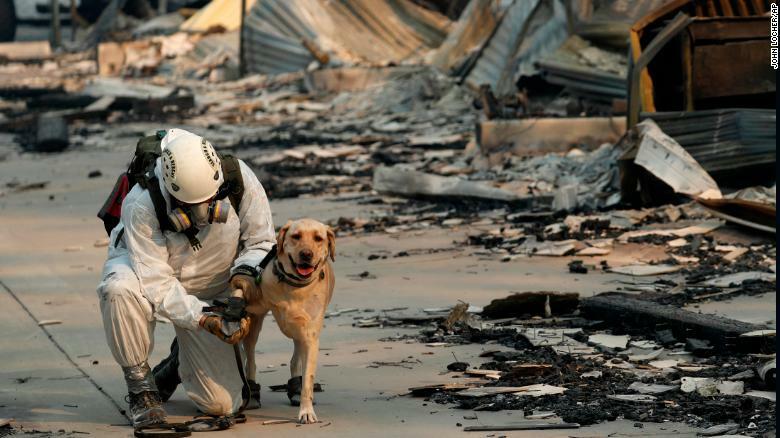 A search and rescue worker tends to his dog while looking for human remains in the Camp Fire.